Microsoft “mixed reality” headsets are finally available (for developers) on the Microsoft store. 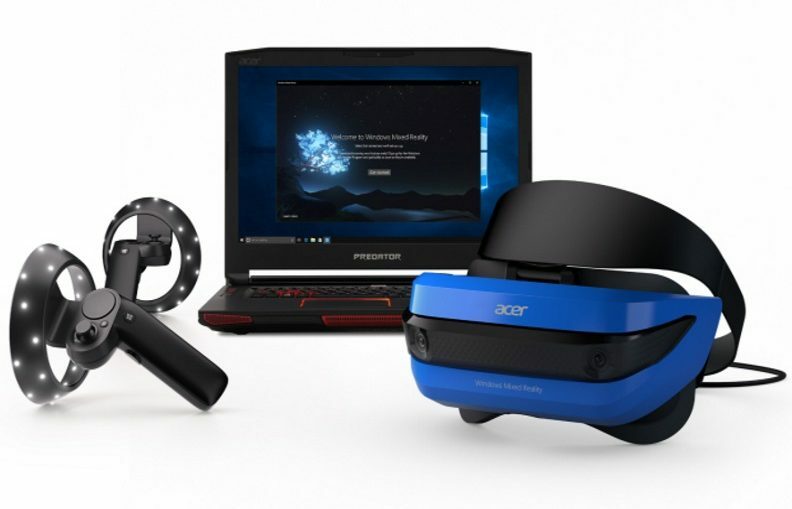 The company opened pre-orders for the headset back in May; now developers can get their hands on Acer’s headset for $299 and an HP model for $329. Specs-wise, the two headsets are pretty much identical. Both sport 1440×1440 per eye 90hz displays with 95 degree field-of-view, the only feature difference appears to be more padding on the HP model, which might make for more comfortable play sessions, though I haven’t had the chance to try it out yet. Microsoft has a number of partners for its headset program, with Lenovo, Asus and Dell also building hardware for Windows Mixed Reality. Where the focus of these headsets actually resides is a bit unclear. They make a lot of sense for enterprise use cases given that headset integration will be baked into Windows; the less stringent hardware demands will also ensure that companies aren’t having to buy a gaming PC fine-tuned for first-person-shooters when all they’re doing is looking at CAD models. On the consumer side, it will be interesting to see how Microsoft approaches gaming on these headsets and whether they’ll largely avoid the topic as they continue to work on a wireless headset for the Xbox One X or if they’ll just use Minecraft as a way to bring lighter, more casual titles to the headsets. Microsoft is selling a pair of sparkly odd-looking motion controllers, but these won’t be going on sale until the holiday season when sales of the headsets open up to the general populace.